Loudoun Cares and the homelessness relief organization Good Shepherd Alliance were among the charities that did not make the cut for nonprofit funding in the county government’s new grant-writing program. The new grant application scoring system takes the Board of Supervisors out of the process, presenting members with a scored and ranked list of nonprofits and grant allocations approve or reject. County staff members divided $1,090,700 in grant money up among those applications, including in a new mini-grant process for requests under $5,000. The county received grant applications from 42 nonprofits. Twenty-three nonprofits won funding in the larger grant category. But the fact that the Good Shepherd Alliance, Loudoun Cares, and the Northern Virginia Resource Center for Deaf and Hard of Hearing Persons did not win funding drew protest from people at the meeting—and an attempted last-minute change on the dais. Supervisor Ron A. Meyer Jr. (R-Broad Run) decried the funding recommendation for leaving out the Good Shepherd Alliance, and offered up an alternative that would have redistributed funding among the nonprofits to send some money to the organization. Meyer said the results point to a process that is still subjective. Department of Management and Budget Director Erin McLellan said the organization’s low score was in part because of an incomplete application. “Some of the things that we asked for were just not provided, and because we can only look at what they provide, we don’t substitute our own knowledge of the organization,” McLellan said. Other supervisors sided with the staff recommendation and the county’s new process for evaluating grants. “It would be so politically expedient and easy to do what is being suggested, it would, but it wouldn’t be the right thing to do,” said County Chairwoman Phyllis J. Randall (D-At Large). Others argued that reshuffling funding to help out an organization that didn’t score well enough would negate the point of the county’s new scoring system. 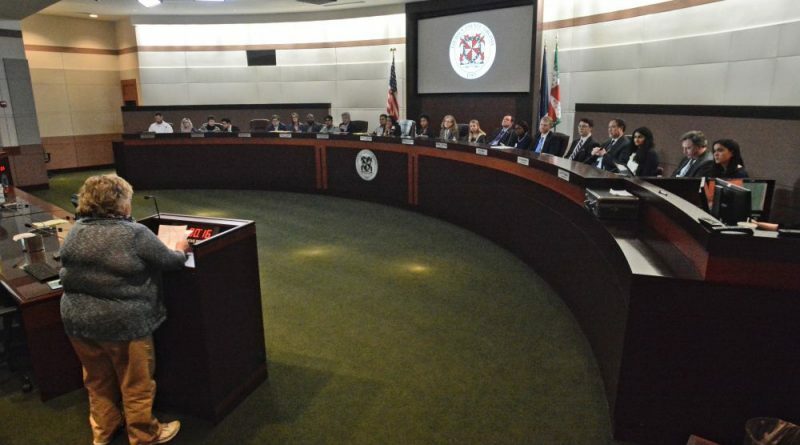 “If I was one of these other organizations, many of whom don’t know about this, they’ll all be here at this next board meeting saying, why didn’t you tell us you were going to cut our amount,” said Supervisor Suzanne M. Volpe (R-Algonkian). Good Shepherd Alliance representatives at the meeting said the nonprofit’s $100,000 request would be about 3 percent of their budget. Ultimately supervisors voted 8-1 to stick with the staff recommendation, Meyer opposed. For years, supervisors have worked to make the process of evaluating which nonprofits should be funded—and by how much—apolitical and objective. In December, supervisors adopted a new scoring system for nonprofit applications and along with it, took five nonprofits out of the competitive grant process. HealthWorks for Northern Virginia, Loudoun Free Clinic, Northern VA Dental Clinic, Blue Ridge Speech and Hearing, Loudoun Volunteer Caregivers, and Loudoun Abused Women’s Shelter now receive direct funding from the county. Those nonprofits were this year given the same amount of funding as they received in last year’s competitive grant process, collectively taking in $502,519. But the county did not reduce the million-dollar pool of funding for other nonprofits, meaning in practical terms a 50 percent increase in nonprofit grant funding.